What an absolutely lovely property! This well maintained one level 2 bed, 2 bath open concept bungalow sits back from the road with a beautiful yard and mature trees. There is a newer propane furnace (2 yrs old) and hot water tank (July 2015) and also central air and vacuum. 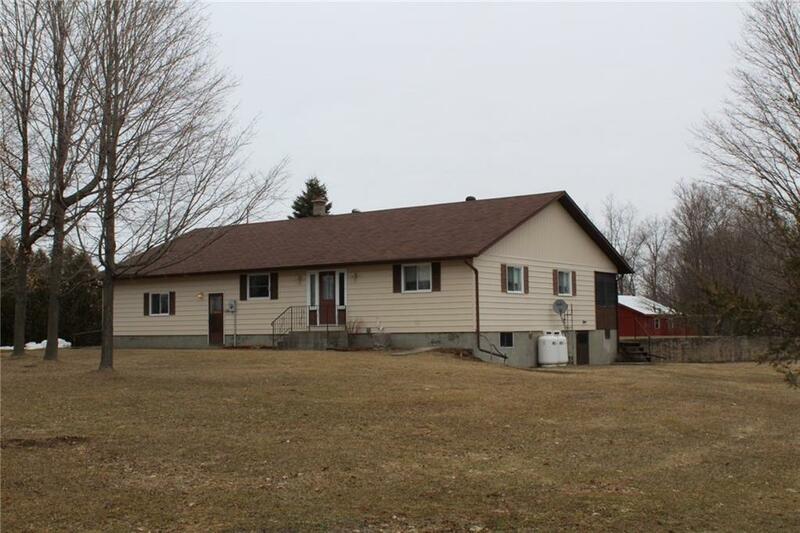 There is an oversized attached two car garage and several other outbuildings in good shape, all on 13+ acres. Excellent opportunity for animals / hobby farm, workshop…..you name it! Trails, Big Rideau Lake and the village of Portland only minutes away. Country living at its best!